Sports show humanity at our best and worst. 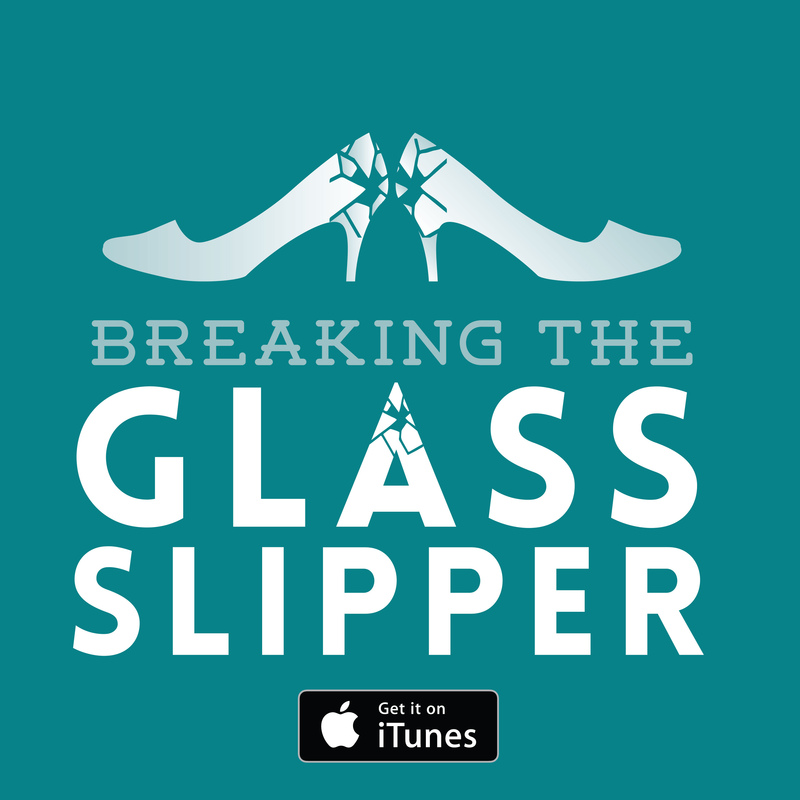 On the one hand, they provide an insight into what people can achieve with perseverance and dedication, and on the other, they show how competition can drive us to behave unconscionably (look out for the Tonya Harding film currently in the works). But when it comes to screen time, sports films tend to focus on uplifting stories. While this fixation with stories that show the little guy overcoming all the odds is hardly limited to sports stories (come on, in Australia we made an entire cultural myth about the Aussie Battler, humans love a good story of unlikely triumph), film audiences don’t seem particularly interested in any other kind of sports story. Who wants to see a film about a successful sports team do well yet again? From a narrative perspective, this would be a difficult story to tell – where is the tension, what are the stakes? We are, ultimately, selfish and self-centered beings, determined to see ourselves in the stories we consume. The underdogs are audience analogues: everyday people that no one expects greatness from. These stories give us hope. If they can do it, maybe we can too. I don’t know if everyone is quite as contrary and stubborn as I am, but if someone tells me I can’t do something, my first instinct is to prove them wrong (yes, this is why some people find me insufferable, I know…). As such, I love seeing characters prove others wrong. You think the poor kid with no formal training and coke-bottle lens glasses can’t do it? 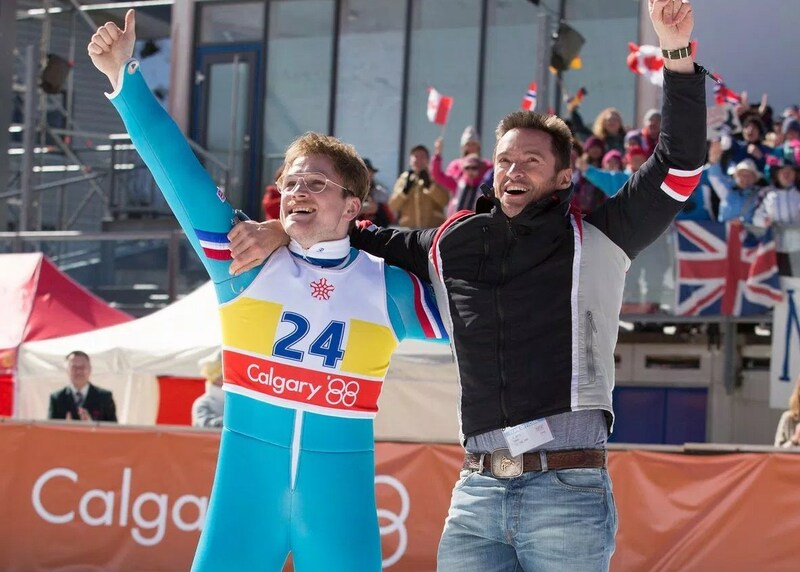 Eddie the Eagle will prove you wrong and I’ll be cheering him on every step of the way. The more characters surrounding our heroes that don’t believe it is possible, the more the audience will cheer. Another popular trope is to have the ‘ring in’ be the focus of the story. Perhaps the team is short of players or the star quarterback is injured… who will step up? 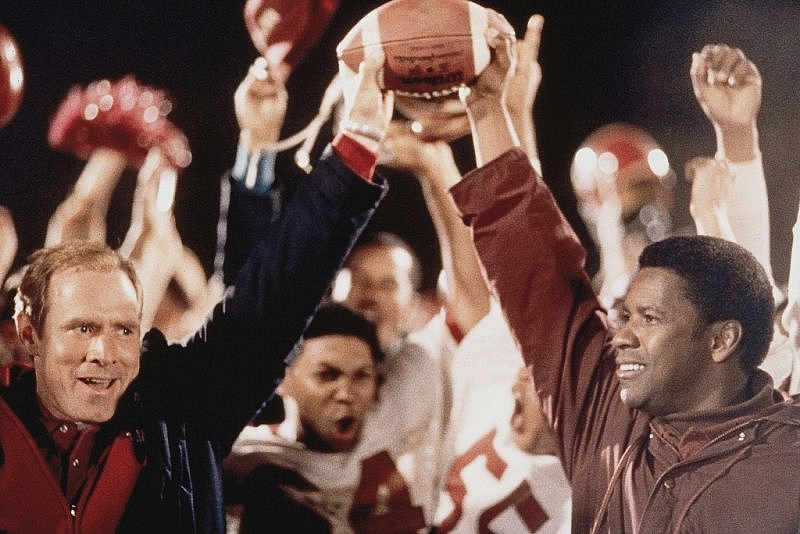 Films like Bill Durham and Varsity Blues play on this with characters that are professional ‘fill-ins’ or more interested in studying than playing sport. These stories give the audience something more than a straight sports film. Instead of the narrative being all about achieving sporting greatness (or perhaps just getting to the Olympics/competing), they spend as much time on the development of the character’s internal life as they do on the sport. To really hook the viewer, make sure the story is based on a true story. That really hits us hard in the feels. 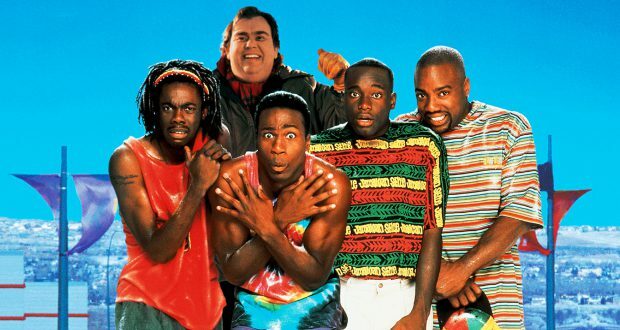 While I’m sure that Cool Runnings would have found its loyal audience if it had been entirely fictional, that ‘based on a true story’ aspect certainly pumps the sympathy levels up to 11. Disney attempted to repeat this success with 2014’s Million Dollar Arm to lukewarm success. Perhaps cricket just isn’t as exciting as bobsledding? Many of these sports films will include social issues as part of the underdog story. The protagonists will be from underprivileged areas and often discriminated against for the colour of their skin (never thought I’d be suggesting Hollywood was less racist than the President of the United States, but that’s Trump’s reign for you). Most sports films explore social issues to some degree. Even those with an overall light tone, such as Cool Runnings and Eddie the Eagle deal with the cost of becoming an athlete, something that people have a tendency to forget about. It isn’t all about talent and perseverance, but having the money to train and get yourself to the necessary events. Film loves a good social allegory (however thin) and sport films are no exception. What better way to tackle the civil rights movement than by looking at it through the lens of sport? You bring in an audience who might not want to see a film about racism and present them with a film about racism that they actually enjoy. Again, Disney comes up trumps in this area with films like Remember the Titans and Glory Road. Perhaps framing social issues that are still plaguing our society in historical sports drama makes the issues more palatable to the general public? Feminism has also wormed its way into several sports films. Arguably the most notable entry is A League of Their Own, another of these ‘loosely based on a true story’ sports films that tackles gender equality in a historical setting. In order to make these female sports stars even more palatable to audiences, A League of Their Own employs a good deal of humour to counter the issue-led premise. Another example, though one with possibly less artistic merit, is the Shakespeare re-telling, She’s the Man. This is, ultimately, a very similar story, though instead of using a historical setting, the filmmakers use the ‘teen movie’ tropes to couch the feminist agenda. But at the core of both of these films is one simple issue: women are just as capable of being first class sports stars as their male counterparts. Many of these films also feature a common element: the downfall of the expected winners after a display of arrogance. This plays into the trope of having no one believe in the underdog’s ability, where the reigning champions get their deserved comeuppance in the form of egg on their face. Complacency and underestimating your opponent is never wise, and if these films are anything to go by, always an omen of failure. Hubris is often used in other ways too. The sports film can be used to teach people a lesson about themselves, not just social issues. 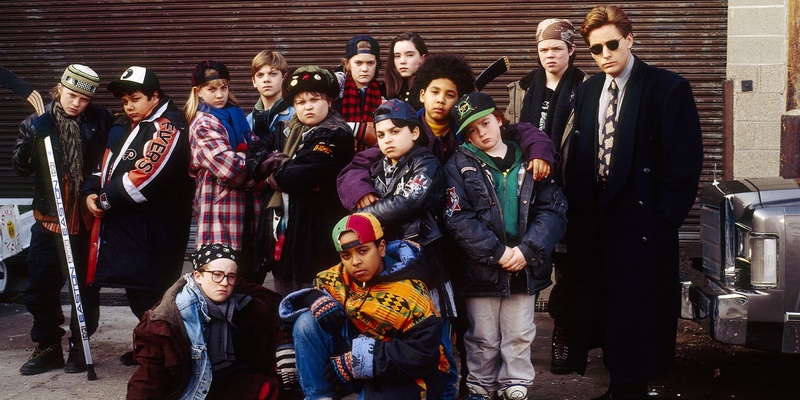 Take one of my all-time favourite films, The Mighty Ducks or Champions (depending on what region you’re in). Gordon Bombay is a reckless, selfish lawyer who will do whatever it takes to win. But what kind of life is that? To teach him a lesson, he is sentenced to community service: to coach an underprivileged peewee ice hockey team. Through his experiences, he learns how to have fun again, that winning isn’t everything. And this narrative focus on punishing hubris is something that can be seen in the other installments of the franchise as well. Sport films and their tropes provide a fascinating insight into the psyche of the film-going public and humanity at large. We love a story of triumph over adversity at the best of times, but when it comes to sport – a past time that invokes passionate support from the general public – our emotions become the filmmakers playthings. And play they do. Under the guise of sport and stories of success, films tend to slip in an element of social commentary, angling for the audience to learn something as they exit the cinema, feeling good about themselves and those around them. What sneaky creatures these sports films are.